n was brilliant. I felt very comfortable with him and if things didn't go to plan he helped me to correct them quickly. 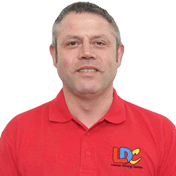 The LD System really helped me as it meant that I could see the progress I had made, which is something I didn't have with other instructors. I loved every minute of my training, thanks John. 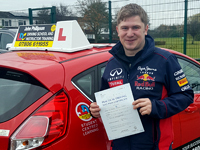 I'm a driving instructor in Kettering, Wellingborough, Rushden, Higham Ferrers, Irthlingborough, Finedon, Irchester, Wollaston, Burton Latimer plus the surrounding area.